The Telecom Regulatory Authority of India (Trai) on Thursday recommended a lower minimum channel spacing of 400KHz for FM radio broadcast, as against 800KHz now, to allow for more radio stations. This is a part of the recommendations issued by the telecom and broadcast regulator on the migration of FM radio operators from phase II to phase III. 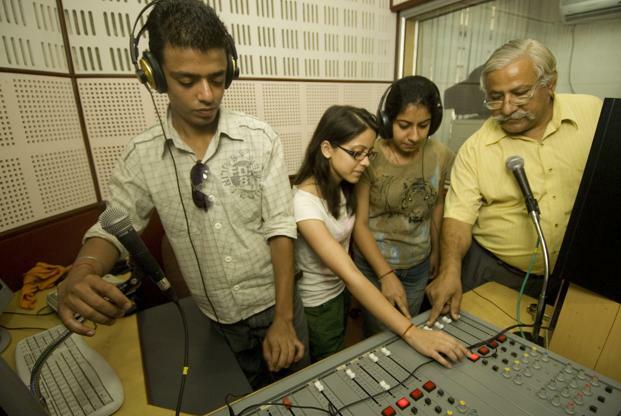 The second phase of FM radio broadcasting in India was launched in July 2005, under which 221 radio channels were added to the then operational 21 stations, which were also migrated from phase I to phase II. In the third phase of radio auctions, 839 channels will be added across 294 cities. As part of its recommendations, Trai also allowed a 15-year licence period for operators migrating from phase II to phase III. The phase-II permission period was 10 years. The cut-off date for the migration will be decided by the ministry of information and broadcasting (MIB) after the completion of the auction process, Trai said, adding that this date should not be later than 31 March 2015. For the calculation of the migration fees, cities have been categorized based on the numbers of FM channels available in each of them. According to executives at leading radio stations, Trai’s recommendations meet industry demands. “We had asked for minimum channel spacing and extension in license period,” said Harshad Jain, business head at Fever FM, run by HT Music and Entertainment Co. Ltd, a venture of HT Media Ltd that publishes Mint. Anuradha Prasad, president of the Association for Radio Operators in India, also welcomed the extension of the licence period to 15 years. Trai’s recommendations meet industry demands.